Data Sources North Carolina Government (1979), p. 674; Norman D. Brown, Edward Stanly: Whiggery's Tarheel 'Conqueror', p. 15; Raleigh Register 12/1/1815. 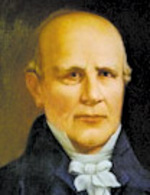 Description Macon was elected on the 5th ballot to fill the vacancy occasioned by the resignation of Sen. Locke. First ballot: Branch 49, Love 46, Mebane 27, Franklin 22. Fifth ballot: Macon 101, Branch 59, scattering 27.